The magic of the movies returns to Marlay Park with Outdoor Movies in the Park. 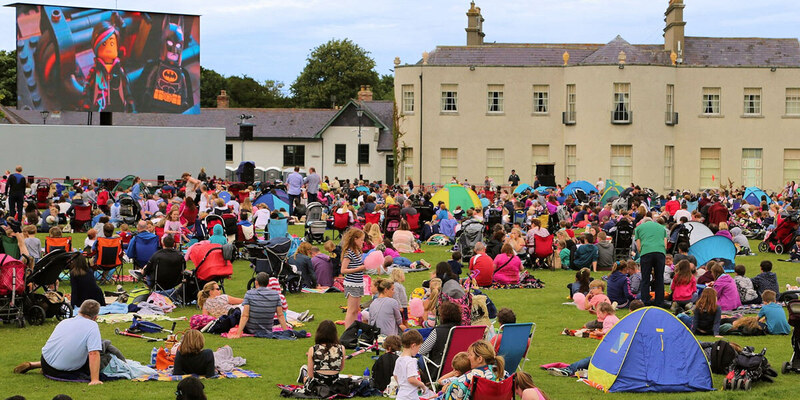 The lawn at the back of Marlay Park House will once again be transformed into a movie theatre of dreams, adventure and wonder for the weekend with some classics, recent hits and family favourites. All screenings will be free of charge and shown on our high definition screen, which is half the size of an average house! Why not bring a picnic and blankets to have all the comforts of home in Dún Laoghaire-Rathdown's outdoor home cinema for the weekend. Movie treats will also be available for purchase throughout the event. Movie titles will be announced on the dlr Events Facebook page. It's going to be a movie lover's weekend. Walk or use public transport if you are coming to Outdoor Movies in the Park. Do not park in local estates, on roads, grass verges or in other off site car parks. Stay on lit routes at all times after dark and follow the instructions of the stewards. Parking for the 7pm Movies on both days is in the Grange Road car park in Marlay Park only.